SINGAPORE - Singapore Premier League club Home United organised a photography exhibition at the MacPherson Community Club (CC) on Saturday (Dec 29), in what was a culmination of a community outreach programme aimed at youths living in MacPherson. Called My World Through My Lens, the exhibition saw some 50 youths, who are part of the MacPherson Teen Network Club, proudly display photos they had taken during the school holidays. They had undergone a photography workshop from Dec 14-16 conducted by professional photographer Lee Aik Soon, and were tasked to capture a series of impactful photographs from around the MacPherson area based on four themes: "People and things we value", "What we want to change", "What we want to show the world" and "Portraits". The exhibition was attended by Ms Tin Pei Ling, Member of Parliament for MacPherson SMC, and Mr Chong Kee Hiong, an MP for Bishan-Toa Payoh GRC and adviser to Home. Said Home general manager Badri Ghent: "Home United sees this as an excellent opportunity to leverage on photography as a vehicle to drive interest back into the local football fraternity and the community at large. "It is vital for us to engage youths in Singapore continually, and we acknowledge the strength of photos and social media as a marketing tool. "We also want to give back to the MacPherson community and MacPherson CC, for their support of our youth academy at Mattar Road." A spokesman for consumer electronics group Sony, which had backed the programme, said: "Empowering the next generation of photographers has always been a strong focus here in Singapore. "Youth are the building blocks of every community, and we recognise the importance of giving them the necessary tools and skills for them to grow. "We are excited to be part of this initiative as it not only exposes youths to a new skill but also gives them a creative platform to showcase their stories and boost the country's photography scene." 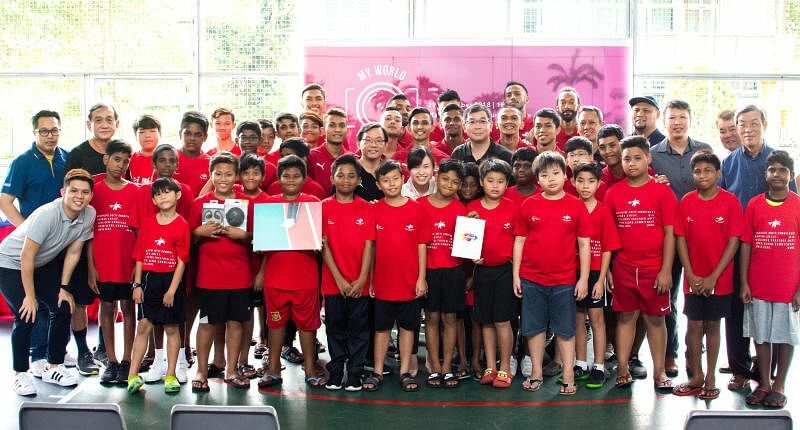 Home yesterday also launched the MacPherson Protectors programme for 2019, which aims to engage youths living in MacPherson to attend football training sessions at the Home United Youth Academy (HYFA) at Mattar Road up to twice a week, as a way to ensure they spend their time and energy after school in a productive manner.